New York, N.Y., June 28, 2017 - Greetings from Tromaville! "Just from hearing the premise behind 'Dolly Deadly' I was hooked! 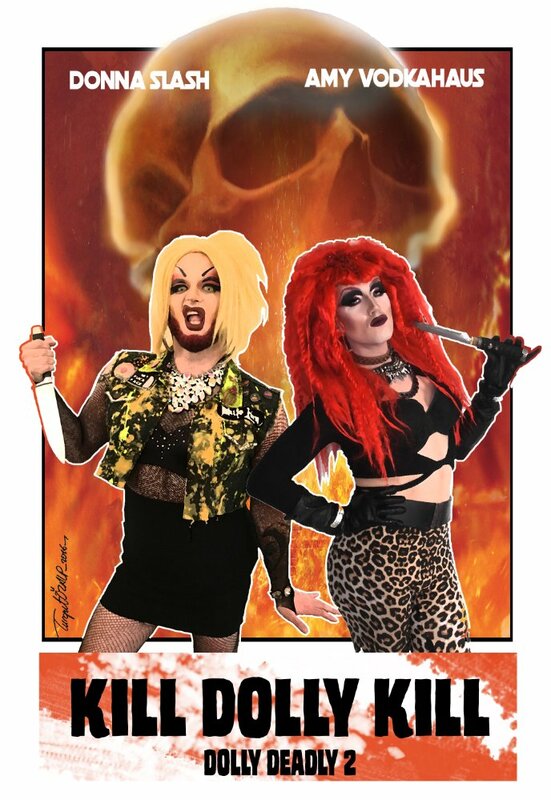 Heidi Moore is a true independent artist and I can't think of a better LGBTQ Musical/Horror/Comedy project for Troma to produce than 'Kill Dolly Kill: Dolly Deadly 2.'" stated Lloyd Kaufman, President of Troma Entertainment and creator of The Toxic Avenger . Michael Herz and Lloyd Kaufman, founders of Troma Entertainment, signed up Heidi Moore's highly anticipated script "Kill Dolly Kill: Dolly Deadly 2" which Ms. Moore will direct, it was announced today by Levi White, Director of Public Relations at Troma Entertainment, Inc.
Troma Entertainment, the company widely known for their original productions such as The Toxic Avenger, Class of Nuke 'Em High and Tromeo & Juliet, also has a long history of helping up and coming filmmakers get their start. Ms. Moore now joins a great line of past Troma protégés such as Trey Parker and Matt Stone (South Park, Cannibal! The Musical), James Gunn (Guardians of the Galaxy, Tromeo and Juliet), and Kansas Bowling (BC Butcher). Moore's "Kill Dolly Kill: Dolly Deadly 2" has begun pre-production and will be distributed by Troma Entertainment. 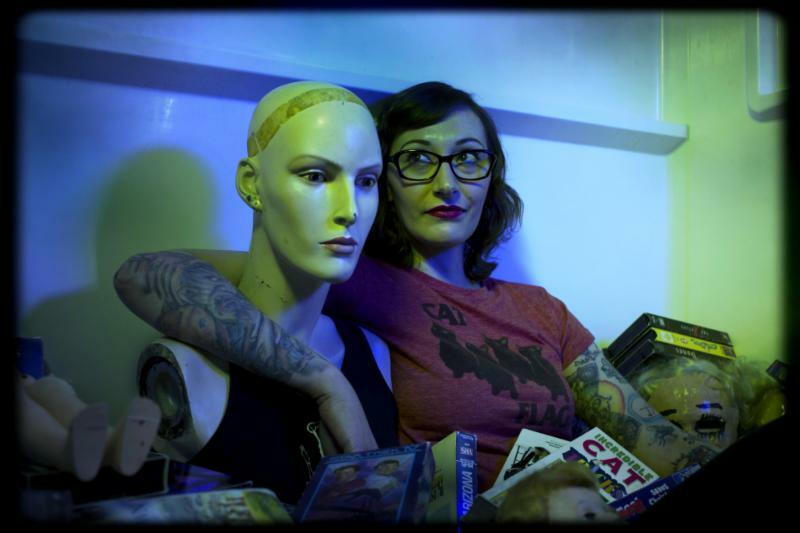 Director of "Kill Dolly Kill: Dolly Deadly 2"
About Heidi Moore:Heidi Moore is the owner of Wretched Productions and has been working in the horror and cult classic medium for many years; making a name for herself in the independent genre film community. Her feature film "Dolly Deadly" has been making waves among the horror and art film lovers alike and has been called the weirdest movie of 2016. About Tom Komisar:Tom Komisar is a writer/actor/musician and co-owner of HM&M Films; an independent film production company based in Winamac, Indiana. A lifelong fan of horror, Tom and HM&M Films founder Daniel Murphy have released several feature films in the last few years that include, "And Then You DIE! ", "Night of the Dolls", and "House of Whores" Part 1 and 2. Their latest production, "Blood Moon River" is scheduled for release in early 2017. "Kill Dolly Kill: Dolly Deadly 2" will feature 11 original songs by composer and writer of the film, Tom Komisar, featuring g uest musicians, Miss FD and Vulture Culture in the song "Tap Dance on Yo Face" and a Kill Dolly Kill theme song by Creepsville666.The film will star singer of punk band, Homosuperior, Joshua Ryan Vogelsong as Dolly/Benji and real housewife from hell and infamous drag performer Amy Vodkahaus as Slasherella. Cinematography by Tony Walters from Rad Entertainment.